The most popular approaches to debt elimination are: paying off the largest debt first, paying off the smallest debt first, paying off the debt with the highest interest rate first, and loan consolidation. 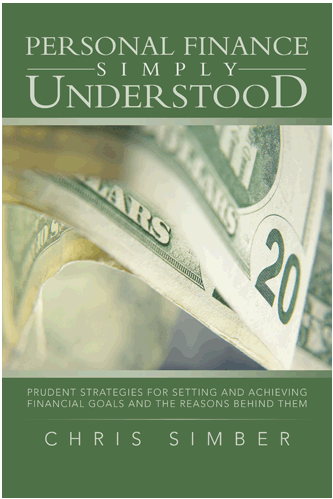 In my book “Personal Finance Simply Understood” I walk through a detailed analysis of these approaches using various loan and debt amounts, and different interest rates, and the result is rather surprising. The approach that eliminated all of the debt the fastest was paying off the smallest debt first, and comes with some short-term victories. With this approach, the monthly payment for the smallest debt is increased by some amount that we can squeeze out of our monthly budget. The increased payment reduces the debt more quickly, and once this debt is retired, the full amount that was being paid on that debt is then added to the monthly payment on the next smallest debt. As each debt is retired, the full amount is again added to the next smallest debt payment. Here’s an example using three credit card balances each with a 12% interest rate. We’ll assume that I was able to find $100.00 in my monthly budget that I can apply to the payment amounts. Before we begin, we the total amount of time to retire the debt without applying this method would be twenty-eight months. Step 1: The balance on Card #1 is the lowest debt so the extra $100.00 is applied to that payment each month. The result is shown below. Step 2: In nine months when the balance on Card #1 is paid off, the monthly payment amount of $200.00 is added to the amount being paid on Card #3 as shown below. Nine months have passed, so the balances have been adjusted. It will still be sixteen months to pay off the debts. Step 3: In six months when the balance on Card #3 is paid off, the $350.00 payment is added to the amount being paid on Card #2 as shown below. Again the balance has been adjusted for the six months that have passed. Using this method and not adding any additional debt, resulted in all of the debt being eliminated in nineteen months as opposed to twenty-eight. The results showed that this is a sure fire way of eliminating all debt. One added benefit of paying off the smallest debt first is that we can see results quickly. This provides an added incentive to continue the approach and to make the increased payments. The only catch is that this approach requires some discipline. Not just continuing to add the payments from the paid off debts to the next smallest debt payment, but there’s a tendency as debts are eliminated to relax a bit and even take on replacement debt. If we can stick with this approach without too much deviation, the results are debt elimination, peace of mind, and money available for saving and investing. The goal is financial independence, and establishing a plan to eliminate debt is great first step.